Knowing about some of the most common iOS app development strategies and the ways the app development process works can be extremely helpful in developing your own apps and making your organisation run smoother. And this will ultimately result in earning more profit. iOS Apps Development gives you the opportunity to know about leveraged technological flexibility of applications for fitting your requirements. Before getting started with development phase it is important to have a clear idea about what you want to achieve and what your expectations are. Mapping out the end-result you are hoping to accomplish, will help you work toward it in a better way. It can be beneficial to create a flow chart. A comprehensive list of database locations can be extremely helpful when you are looking to engage the professionals to create the business application for your business. It is a good idea to consider security protocol and make clear if you need to keep some particular pieces of data during the app use. Once you hire a professional team, be sure to state them clearly that the application you need should be extremely user-friendly. Be it mobile apps or tablet apps, they are meant to streamline a process and make it less complicated and more convenient. An app without any contribution to simplifying a process does not make any sense. When you know that too much time is being spent in putting the date which are already automated for making your application run smoothly, it is better to go for shortcuts. It may happen that you are handling the development work internally but finding that too long it is taking for reaching the desired completion date. In such cases it will be wise to hire a team of experts and shorten the process. As the owner of a business you want to have ways that will help you run your business smoother and mobile apps can do just the same for you making it easier beyond imagination. With these apps keeping warehouse stock up-to-date and sharing it with your team is as simple as clicking on a button. Be it generating invoices and immediately emailing them to the clients or making the process of approval simple by automating the process, the apps will do it all. They make the process smooth, easy and organised, so much so that you start wondering how you ran the business without them. iOS App Development had a great boost and has been made larger than life during the last few years and the reason behind it is the huge success of Apple’s iPhone, iPad and various other smart phone devices. iOS application development offers great scopes to the developers to showcase their programming skills and creativity and this is why more and more technical experts and professionals are getting into it and making innovative apps for small hand held devices like iPad, iPhone, iPod touch etc. It is true that developing apps for iOS devices is not that easy. While choosing app developers you should therefore go for the professionals who are dependable and have a name of repute in this field. Author Bio: Steve Johnson writes frequently on iOS Apps Developmentindustry. 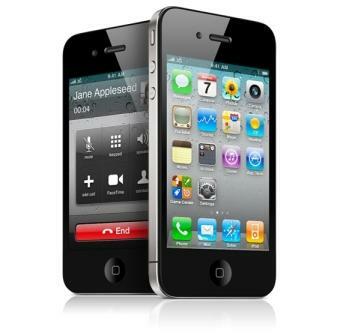 He has written a number of articles and blogs on iPhone app development. In this article he is explaining the iOS Apps Development strategies for boosting up your business.